Finding it hard to choose between so many photo editing iPhone apps? Here's my short list of essential photo editing apps. Get these ten apps and it's likely you'll only buy other apps for specialized effects or participating in specific social networks. Snapseed offers one of the most streamlined and intuitive app interfaces bar none. Touch a category; slide vertically to choose a parameter; then slide horizontally to dynamically preview an effect at various settings. You can make all the standard adjustments to your images. Tune Image covers the bases on standard color adjustments - Brightness, Contrast, Saturation, White Balance. One effect really stands out - Ambience. Ambience, like many faux HDR effects, allows you to reduce or increase the contrast between highlights and shadows, but Ambience does it in the most pleasing way I've seen to date; some saturations shifts may occur, which can be compensated for afterwards with a Saturation adjustment. Black & White, Vintage, Drama, Grunge offer classic color palette variations. Center Focus adds simple selective focus effects. Again, Snapseed makes access to these effects centralized and streamlined, sacrificing some precision and robustness in the process. NIK packs a great deal of sophistication from their award winning software products for the desktop into this tiny package, including the ability to make simple selective edits. Straighten, Crop and Frames round out the suite. If NIK added simple sharpening and resizing - and perhaps content aware filling and scaling - it would be unlikely you'd need another standard image editing app. Like their desktop software NIK does a lot of the thinking for you but doesn't make it easy to get under the hood and modify effects precisely. While other apps may offer more precisions in their ability to make similar edits, the super-streamlined experience of making these changes with lightning speed in a graphically compelling interface with a large image preview puts this app at the very top of my list of go to apps. PhotoForge 2 is one of my most used apps. 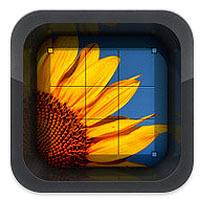 PhotoForge 2 offers precision adjustments of color that's rivaled by only a handful of apps. That it offers, point Curves control of lightness and hue speaks volumes. A choice between Saturation and Vibrance, two flavors of intensifying colors is also most welcome. The inclusion of Channel Mixer, a very complex color adjustment tool seldom used even by the most sophisticated Photoshop users, indicates that PhotoForge 2 may have overdone the control it provides you - but only a little. With both noise reduction and sharpening, cropping and resizing, and much more, this app may be one of a very few apps that you don't need to use other apps with to get the final results you want. PhotoForge 2 also offers a variety of entertaining image effects; Vignetting, Posterize, Negative, Find Edge, Black & White, Sepia, Vintage, Lomo, Goth, Sin City and more. Some will please you more than others. Curiously, a series of interesting texture effects are nested with the cropping and resizing tools. And, Resize will allow you to distort your images vertically or horizontally if you turn off Constrain Proportions. PhotoForge 2 offers robust layering capabilities that allow you to control blending mode, opacity, rotatation, scaling, and even masking. This is a game-changer that gives you greater control over app effects singly or in combination with one another and allows you to create composite imagery. Ideally, the masking brushes would allow still softer feathering. The addition of gradient masks would make this feature even better. PhotoForge 2 manages to do all this without interfering with dynamic previews of images too much, but it hasn't found an ideal balance yet; it's an extreme design challenge to be sure. If you have to pick only one app to edit images with, make it PhotoForge 2. Get detail in your photographs highlights and shadows, even in extremely high contrast scenes. Pro HDR extends the dynamic range of your iPhone by aligning and combining full resolution multiple exposures. Select images from your library or take them through the app. Both automatic and manual modes are available. Sliders allow you to customize results. Aggressive tone mapping may produce halo and vignetting artifacts, but Pro HDR's results far exceed their competitors. Pro HDR's capabilities and results dramatically exceed the iPhone's built in HDR solution making this a must have app for all iPhone photographers. Being able to extend and change the proportion of your image frame is an essential photographic technique. AutoStitch Panorama makes it fast and easy. AutoStitch Panorama stitches any number of images in any arrangement at full resolution. 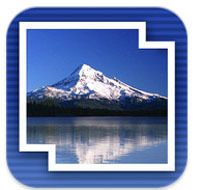 Automatic or manual cropping of the resulting irregular borders is optional. The latest update requires you to use locations services, which may be expensive when travelling overseas. Liquid Scale adjusts the proportion of images by selectively distorting less important or detailed areas of an image more. Liquid Scale will identify which areas to distort automatically or allows you to manually identify image areas to favor during distortion. Distort objects, draw objects closer together, eliminate objects close to the frame, change the proportion of an image frame, such as simulating panoramas, and more. There's a limit to the amount of distortion an image will support, but Liquid Scale will far exceed your expectations of what that limit is. Resize your images with surprisingly little loss in quality. Make images smaller or larger. (Optionally, rotate your image/s. Why doesn't this include flipping?) The true power of this app becomes apparent when you use it to resize multiple images; it's fast! Whether you're sending, posting, or compositing, iResize makes resizing images quick and easy. This technology does best when replacing image content with general textures rather than more specific patterns. Repeated or multiple applications may be necessary to get the best results. Magically remove lens flares, blemishes, unwanted objects and much more with minimal effort. 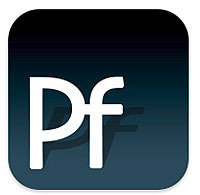 Photo Fixer is certainly one of the best retouching softwares available on mobile platforms. TiltShift creates compelling selective focus effects. Choose from linear or elliptical concentrations of the effect. Size and orientation of the effect can be adjusted with simple visual guides and dynamic previews. Two blurring algorithms and six aperture shapes (circular and hexagonal are most useful, the rest are gimmicky) give you substantial control over the quality of the blur effect. Strength and threshold are both adjustable. Color controls provide additional image enhancement capabilities, but these functions are often better performed with other apps. Are they convenience or clutter? Image Blender is a great app for reducing, modifying, or combining the effects of other apps. It's extremely simple providing only an opacity slider and modes to blend two images. It offers most of the standard blend modes plus two extras. It doesn't offer masking, scaling, or rotation. It does what it does extremely well and simply, making it extremely easy to use. Here's one more app to consider that didn't make my essential list only because of price. Flash is a simple app that claims to replace the flash on your camera producing none of the side effects of regular flash and offering unlimited range. While its goal is similar, to make dark images brighter and particularly to reveal shadow detail, without compromising highlight detail, its effect is ultimately quite different. Unlike camera flash, sometimes for better and sometimes for worse, it doesn't introduce a new light source, thereby creating new shadows and reflections. It's ability to reclaim detail in shadows while producing only slight side effects is truly exceptional. It's extremely fast and easy to get sophisticated results from Flash; there are only three settings - low, high, and ultra. There are so many images that can benefit from the improvements Flash can make to them that it's likely you'll use it on a majority of your images. The price of this app is what's questionable. If it cost $.99 I'd give it my highest recommendation without hesitation. One expects more for $9.99. At the very least it should offer similar benefits for highlights. A feature for reducing the noise in under exposed images or image areas often revealed with this type of enhancement would also be welcome.